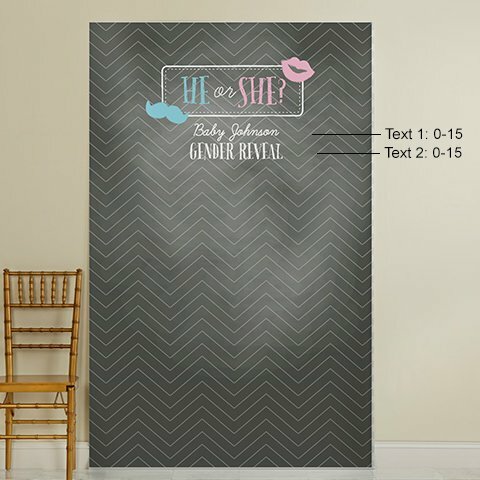 Q:How is the backdrop mounted to the wall? 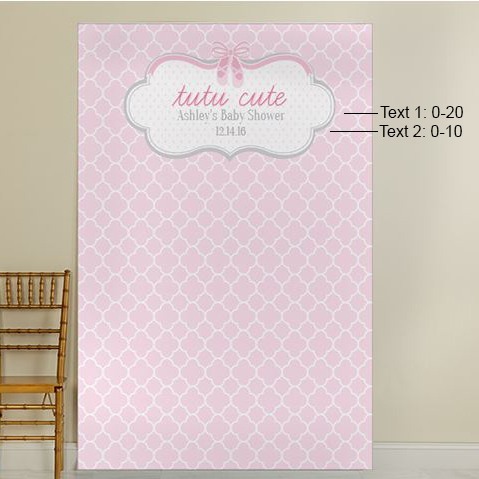 A:Mounting supplies are not included. 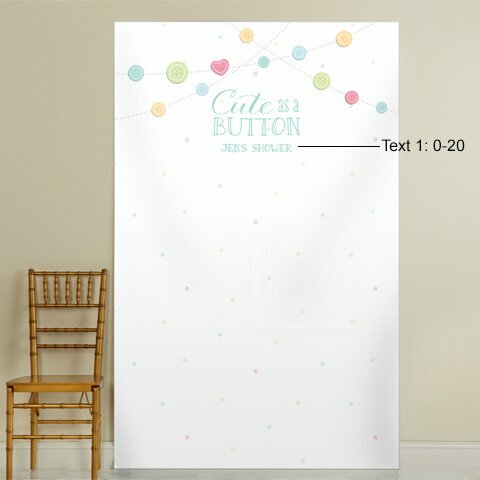 You can mount with push pins, tape, etc. 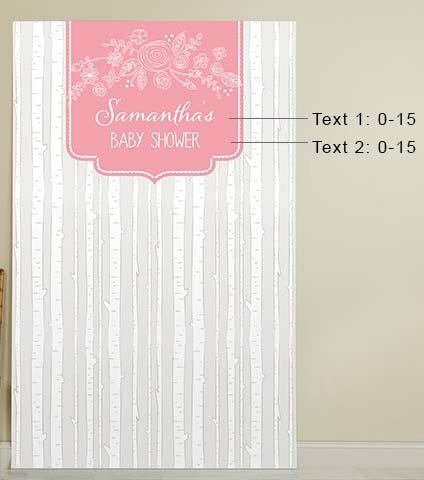 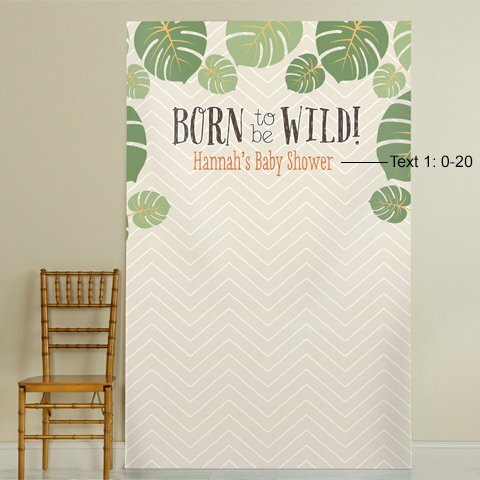 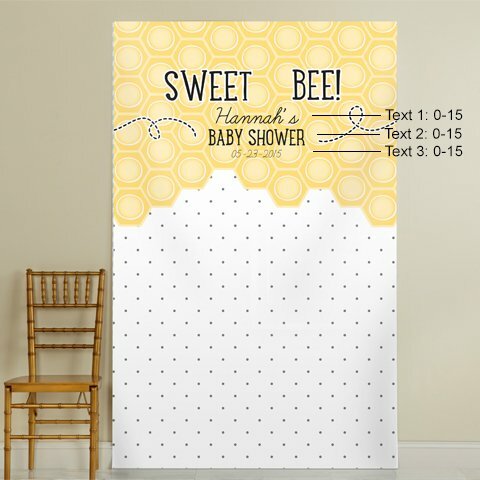 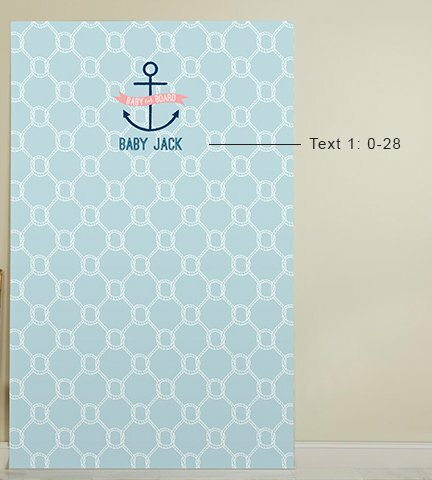 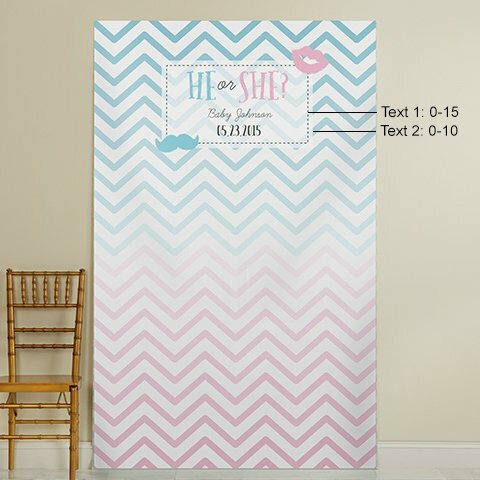 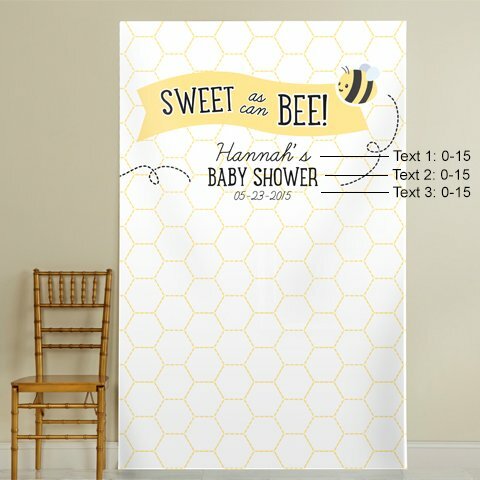 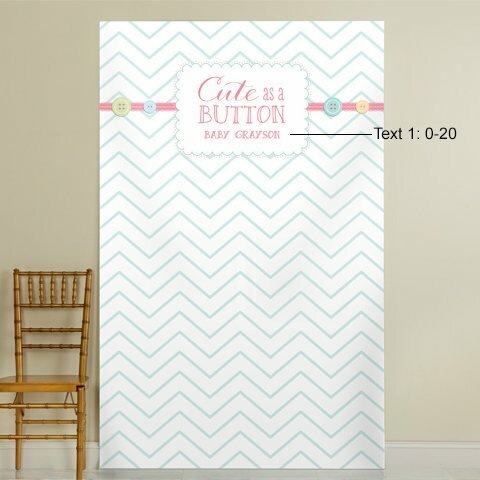 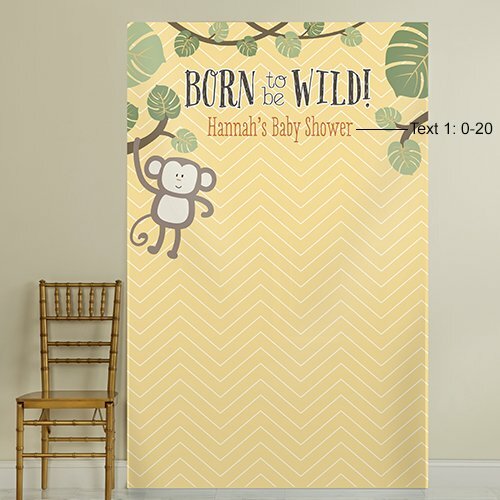 Easily create a beautiful focal point with this personalized themed baby shower backdrop. 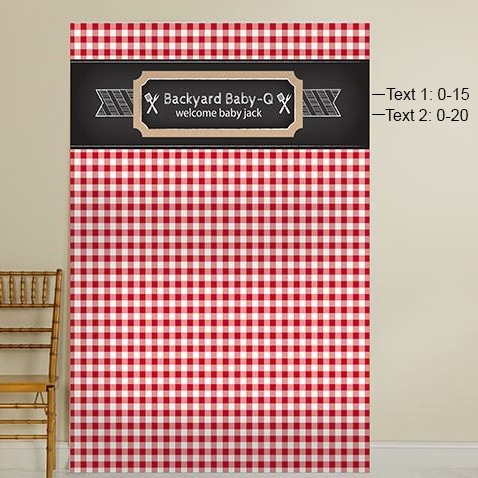 This customized background can be used as a decorative backdrop for a DIY photo booth, or to brighten up the buffet area. 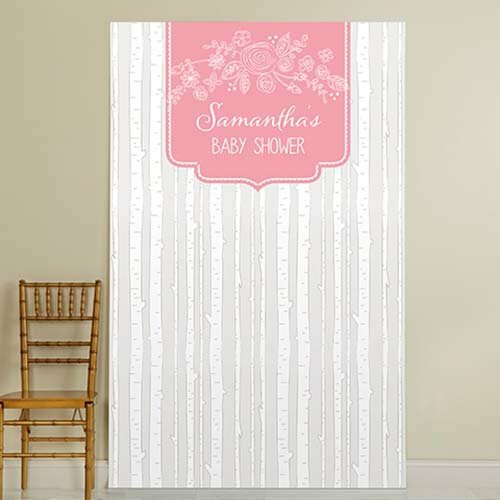 Available in your choice of design and custom messaging, this water and scratch-resistant backdrop is both fashionable and durable.